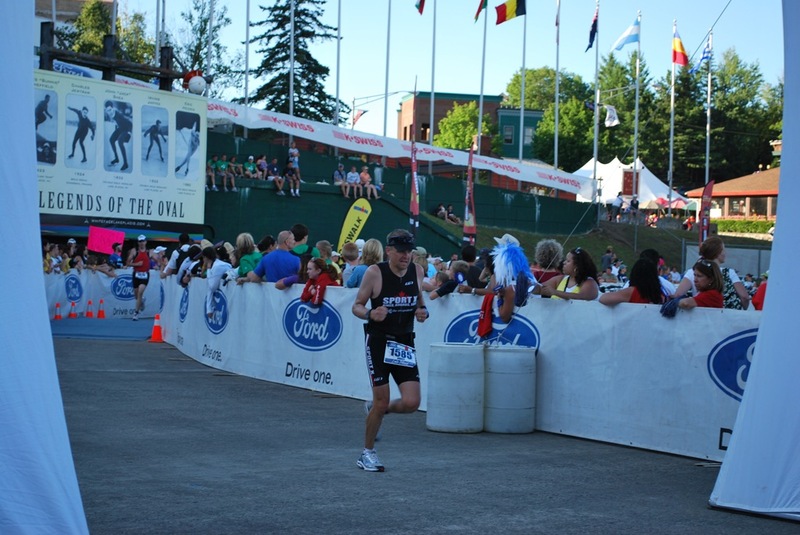 I admit, that I am a little embarrassed about submitting a race report for Lake Placid almost a month after the event. The truth is, I’ve been struggling with how to combine that day into a quick enough read that would also benefit those who read it. I came to conclusion, that there is no way to do it justice, so all I can do is talk about the day. Up at 4:00 am, I was quite fortunate that I had 4 friends with me who had also signed on. Two of them like myself, were doing their first full Ironman. We sat on the front porch of our rented cabins eating our breakfast and nervously chatting about the day and how we felt. The conversation was really just a façade and I am quite sure carried no real intelligent “save the world” talk. We gathered our items together and headed into town knowing our families would be following us later. Into the transition Zone I performed a last minute check on the bike and ensuring that I had air in the tires. Once everything was in check, we headed towards the water still chit chatting about the upcoming event but feeling really excited. The energy was in the air and you could not help but get caught in it. 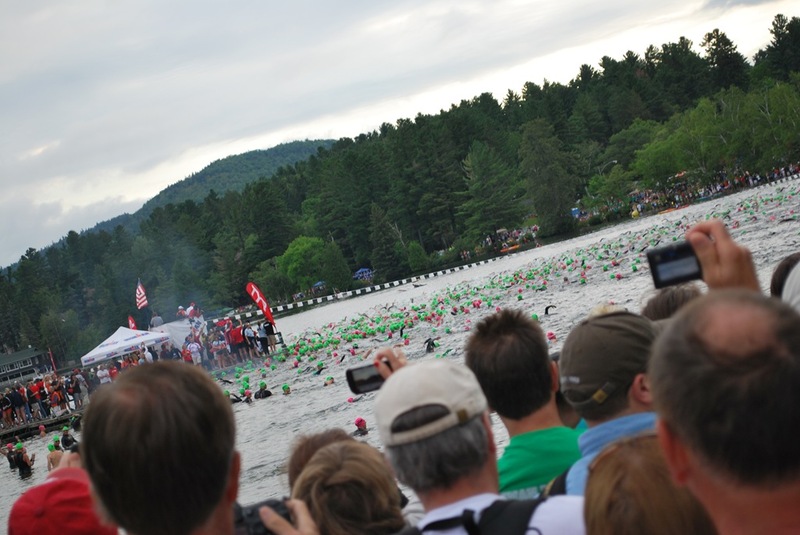 The Swim – I was quite happy with my swim and came out of the water at 1 hr 14 minutes. I entered the water about 6:35 to warm up a bit. There was something very surreal about the start of the event that is hard to describe. The excitement was there, but also the uncertainty of the day to come. I decided early on, that I was not going to hide from the swim (as if you could with 2600 + people anyway) and put myself about 10 meters back from the start line. Yes, I would get swam over, but that would happen no matter what for the type of race I wanted to complete. 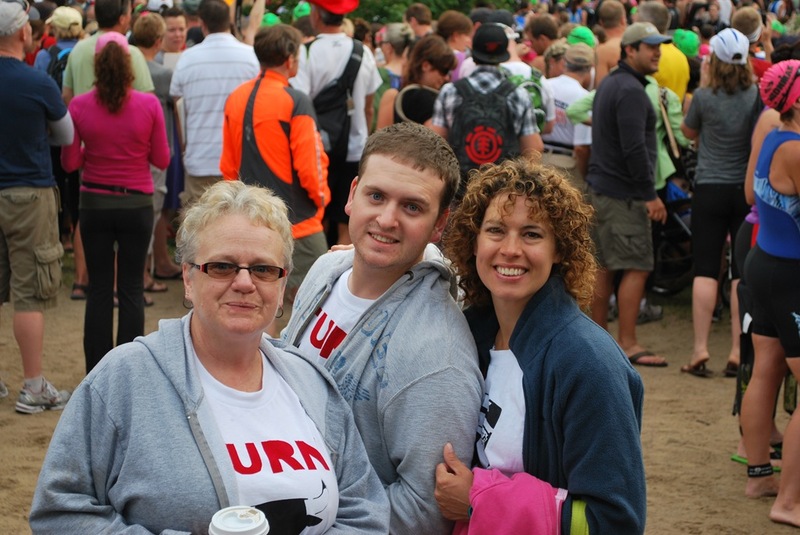 When all the racers took to the water…it was amazing and when the crowd gave us our final cheer…exhilarating. I will not bore you with specifics of the swim. The laps up and down the lake are full of people but you can find your own space if you try. Going into the turns…remember that everyone is funneling into the same narrow corridor…so know that you will get hit and kicked. This is where some of those dreaded sprint drills in the pool from the previous winter pay off. My advice – get through quickly. The second funnel point is the beach landing. Same issue here, it does not matter how much space you had… you will lose that space as people come together to get out of the water. T1 – My first transition was 7 min and 56 seconds long. What the heck was I doing? Well…good question. I lost some time exactly because of that. For some reason my discussions with my coach escaped me and there I was standing by my bags looking through them. Gently, a volunteer ushered me into the tent where the gears started grinding again. I put my bike gear on, some sunscreen and got out of there. The Bike – I am happy with my bike. I came in at 5 hours 59 minutes and 33 seconds. Oh the training…on and on and on it seemed to go. This spring was brutal as most of you know and I spent countless hours in the rain and cold preparing myself for this day . There seemed to be one piece of advice everyone gives for this bike course. “Do not go all out on the first loop”. Simple sounding! Well yes and no because there are areas on that course that tempt you to ramp things up. In June, I attended the Epic Man training day with two friends/training partners. I am very glad I did, because it gave me an appreciation of what to expect on that second loop and also nutrition. Basically my advice is the same as everyone else. Race day for Ironman is not the day to use that 10% adrenaline jump you get when competing in Olympics or a 70.3. Save it and stick to your plan. I watched my heart rate racing as I had trained for it and came off the bike feeling great. 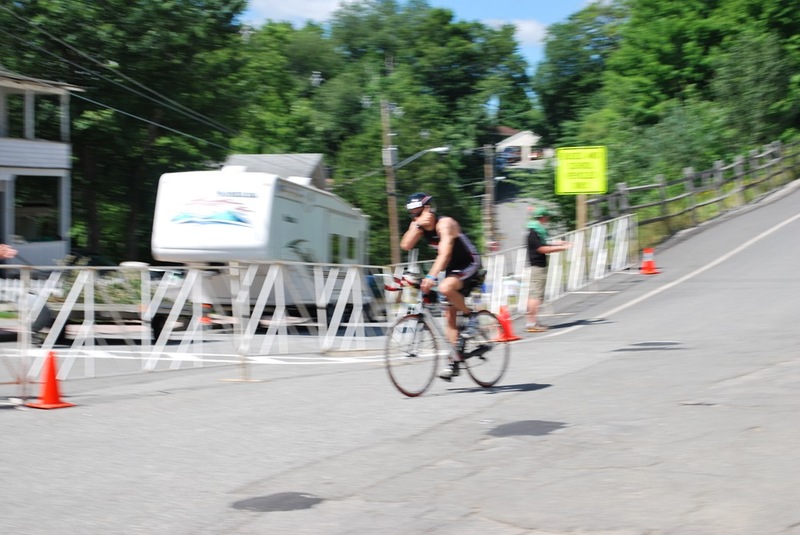 T2 – My second transition was 5 min and 29 seconds long. What the heck? How could I get confused again? I grabbed both bags this time and ran into the tent. The volunteer who came over to me was a little puzzled…but smiled. I appreciated his patience and I am sure he appreciated my temporary lapse of reason. He got me on my way. The Run – I am okay with my run, although would have liked a little more. My time came in at 4 hrs 14 minutes and 50 seconds. I define myself as a runner and having run multiple marathons and one ultra marathon, I figured I knew what was coming. My PB on a marathon is 3 hrs 21 minutes…in my mind hitting 4 hrs should be no problem. It’s important first and foremost to separate a normal marathon and an Ironman. My coach had cautioned me about the first 5-10K and told me to hold back. His words were very clear –“Do not be a hero…even when you see your family. Hold back your pace especially going down the hills”. I did remember to do that…but it was damn hard. You cannot help but pick up an adrenaline rush as you run out the chute. It does however become very clear as you leave town and start that dreaded run on River Road that the real race is on. The adrenaline is gone, the sun is hot and despite the fact you are surrounded by hundreds of runners…you are very much alone with your foot falls. This is where I experienced my first mental drift and started questioning myself. It’s also when I drifted off my nutrition. I started suffering and argued in my mind how long it had been since my last gel. Ironically, if I had just taken one…I would have been fine and reduced my confusion. Instead…it was about 40 minutes…almost the entire length of the road before I clued in and got my senses back. I gel’d right away, but I knew it was going to get worse before it got better. The hills were coming and my body was missing the calories. I ran the flats and trotted…(okay fast walked)…up the hills back into Placid. I pleasantly smiled, gave high 5s, gave thumbs up…but ignored the crowd’s chant to “Run, Run, Run” as I climbed the big hills. In perfect timing, my family and friends were at the top and this got me going again. The gel I took was starting to kick back in and I managed to get my legs moving in what resembled a run. Mentally, I had come through my first real wall. I was thinking back to Macca’s book and what he said about the Ironman race. It’s all about the suffering and your ability to handle it. Running down the chute I pumped my fists and grinned. It was surreal…the crowds cheered and my family called out to me. The moment came…I heard him call me out. 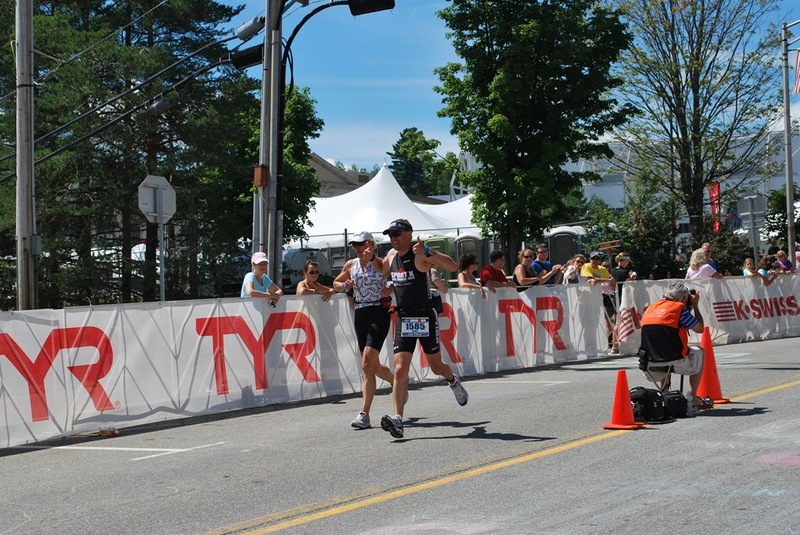 “39 year old Corey Turnbull of Jasper Ontario, you are an Ironman”. I had done it. My total time was 11 hrs 42 minutes 42 seconds. I was hoping for under 12 and I achieved that. It was a great day!! Even now, I look back on the 24thof July and smile. I wanted to give some shout outs because nobody does this without a little help…. 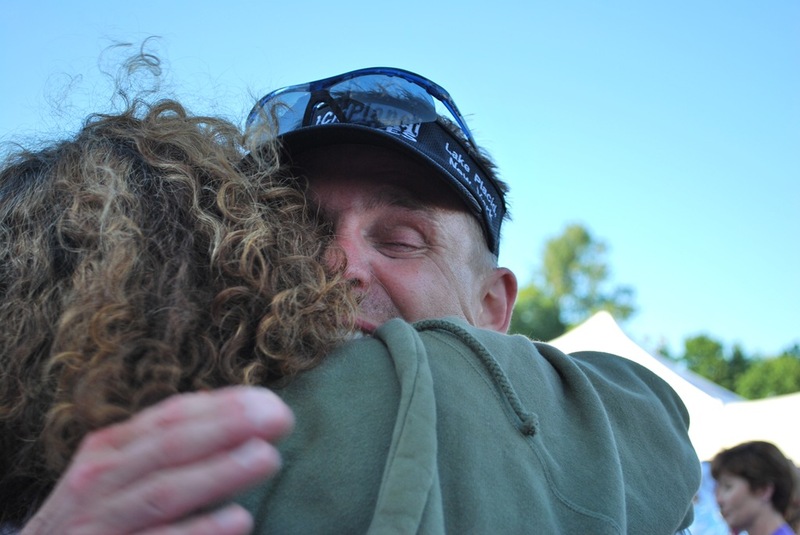 1) My wife, family and friends – thank you for understanding and supporting me. 2) To my coach Richard Cadman of Tri-coach. For 3 years we have been working together and I want to thank you for your support and assistance. You are a great coach and friend and I look forward to many more races. 3) To my friends at SportX in Smiths Falls. 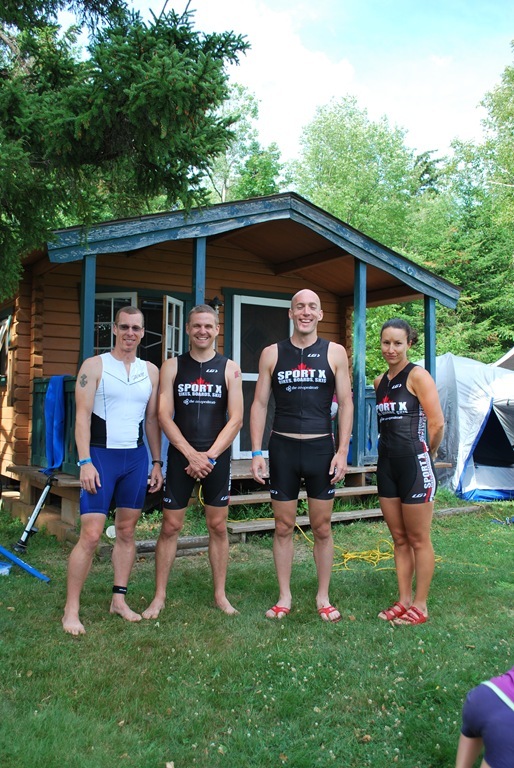 Greg and Jenn …you guys are great and a true compliment to sport in the area. 4) To my training partners/friends Jenn Bonn (yep same Jenn as above) and Dale Witty – we did it guys!!! Thanks for the support, friendship and training hours logged. It was an awesome journey. 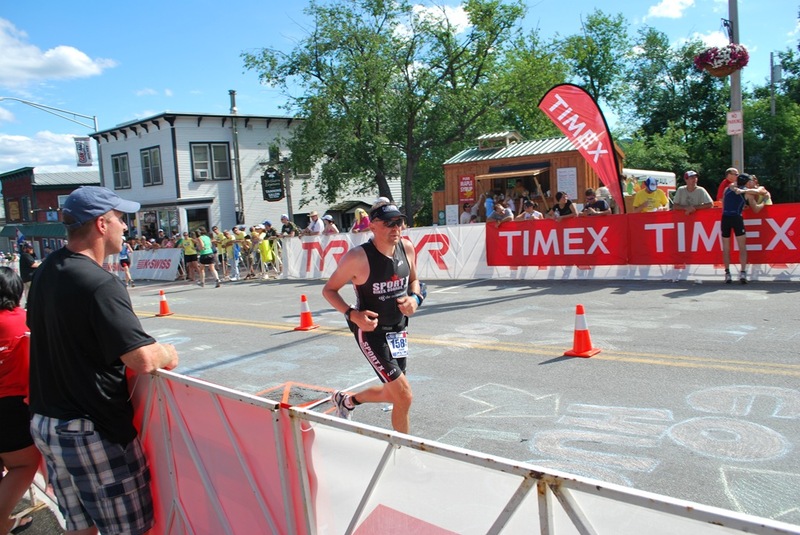 Next Article Post Ironman Lake Placid – Where I am and What I have been doing.